History is far from a dusty, relic of the past. It informs the human condition and the way that we look at the world around us. In this poignant documentary entitled Lessons of the blood: Unit 731 and the Legacy of Biological Warfare teach us a universal truth regarding the dark side of the human condition.Discover that past and step back into time with the most compelling documentary story that you will view this year. HIdden behind the fog of war, the Japanese Imperial Army conducted horrific biological experiments against Chinese civilians throughout the 1930s until the conclusion of the Second World War in 1945. 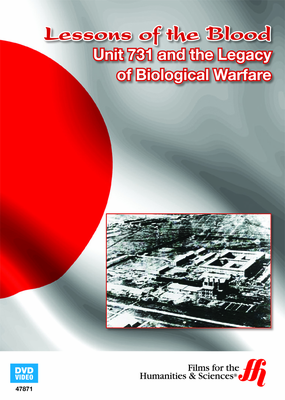 While most people think of the Nazis, who were tried for Crimes Against Humanity at Nuremburg following the war, this DVD turns back the curtain of Japanese war crimes during this period related to their biological experiments. 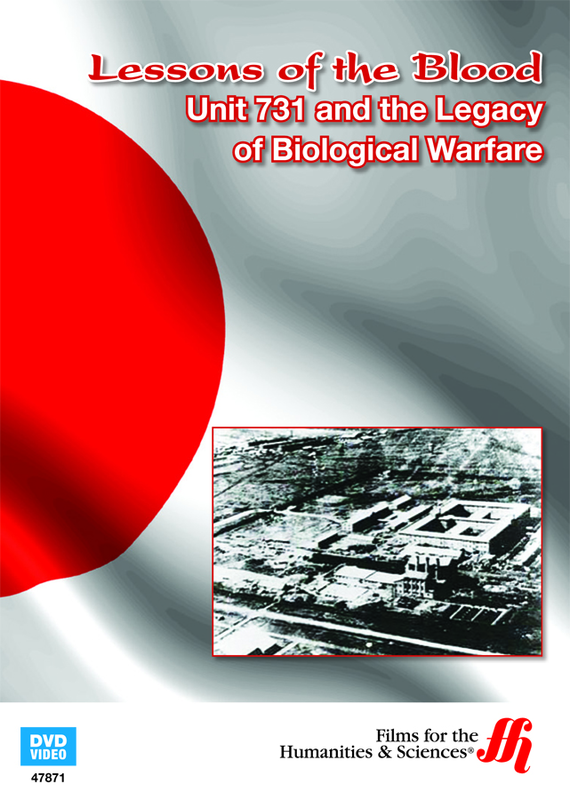 Tasked with developing biological agents for use against perceived enemies of the Japanese Empire, this DVD documentary draws from official records and moving testimony from elderly survivors of Japan's infamous Unit 731. Viewer discretion is advised for those watching this powerful documentary that seeks the truth about Japanese biological warfare during the conflict. The film demonstrates that the suffering that began 70-years ago is still a source of contention as modern-day Japan continues to downplay or deny this brutal period in their history.